In what could be the classiest thing to come out of the NFL in a long time, the Tampa Bay Buccaneers signed former Rutgers’ defensive tackle, Eric LeGrand today. In case football isn’t your thing and these names don’t mean much to you, Eric LeGrand was paralyzed in 2010 by a tackle while playing for Rutgers. His battle back to health have been nothing short of miraculous. He lead his former team onto the field last year and was named as the Reader’s Choice for Sports Illustrated’s Moment of the Year for 2011. Earlier this year, Greg Schiano quit coaching at Rutgers in order to coach the Bucs down in Florida. Leading up to the draft, I couldn’t help but think that this should’ve been Eric’s draft class. This small gesture is the least we could do to recognize his character, spirit, and perseverance. The way Eric lives his life epitomizes what we are looking for in Buccaneer Men. The phrase “class act” gets thrown around a lot, to the point that it doesn’t mean much anymore. But, Greg Schiano and the Tampa Bay Buccaneers’ move today makes them THE Class Act in our book. 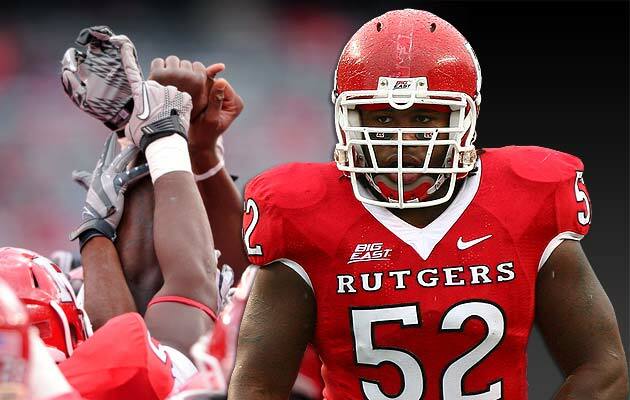 Bucs sign former Rutgers DT Eric LeGrand in story that still inspires – CBSSports.